You are here: Home / Optimist Sailor of the Year / 2018 S1D/McLaughlin Optimist Sailor of the Year Announced! 2018 S1D/McLaughlin Optimist Sailor of the Year Announced! Sail1Design, in cooperation with McLaughlin, is pleased to announce the winner of the 2018 Optimist Sailor of the Year: Tommy Sitzmann. This year we had some excellent nominations, making it a challenge to determine a clear winner. Remember we only choose from nominated sailors! That said, S1D/McLaughlin would like to note publicly that Cort Snyder was our very honorable mention runner-up. Cort had a simply outstanding, consistent year in the Optimist, both here in the USA, and in international competition. Whats more, we learned from his nomination letter that he spent 80 hours this year helping other kids learn how to sail. Congratulations, Cort! We also had a great “Green Fleet” nomination for Brayden Zawyer. Keep that name in mind…. I am sure we’ll be hearing more from this talented young guy! The highlight, however, likely was a 5th place finish overall in the 2018 Optimist World Championship in Limassol, Cyprus. 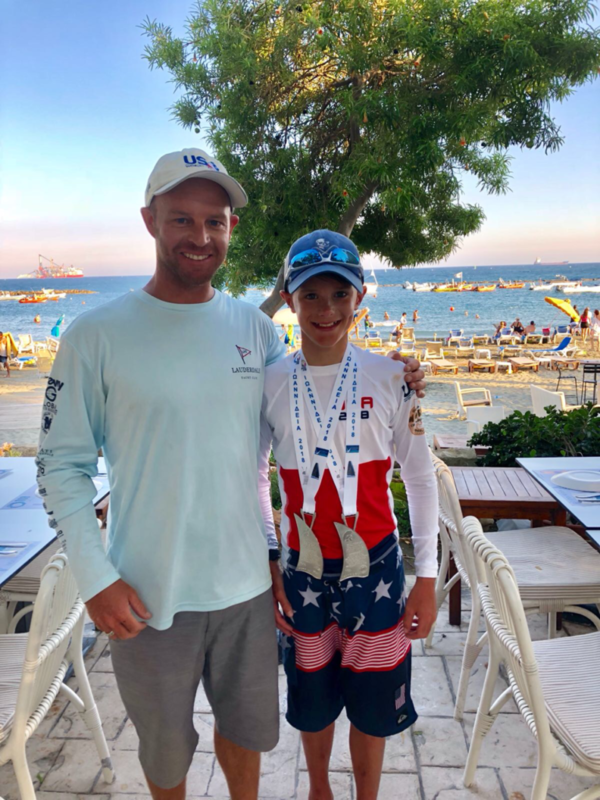 It’s hard enough just to make it to the worlds, and only 5 US sailors earn the right by competing in the grueling Team Trials, so it’s all the more impressive that among the worlds best Optimist sailors, Tommy seemed to shine even more. 1. A beautiful, framed & engraved painting to keep forever. 2. What’s more, and in keeping with the philosophy of both Sail1Design & McLaughlin, Tommy will have the opportunity to give “the gift of giving”, or give back to sailing, and choose, on his own, an “up-and-coming” Optimist sailor to receive a FREE charter of a McLaughlin Optimist at a major US Optimist event on McLaughlin’s schedule! Sail1Design will help work out details of when and where this great gift is made. 3. Finally, Tommy will ALSO receive his own free charter at a major event as well! 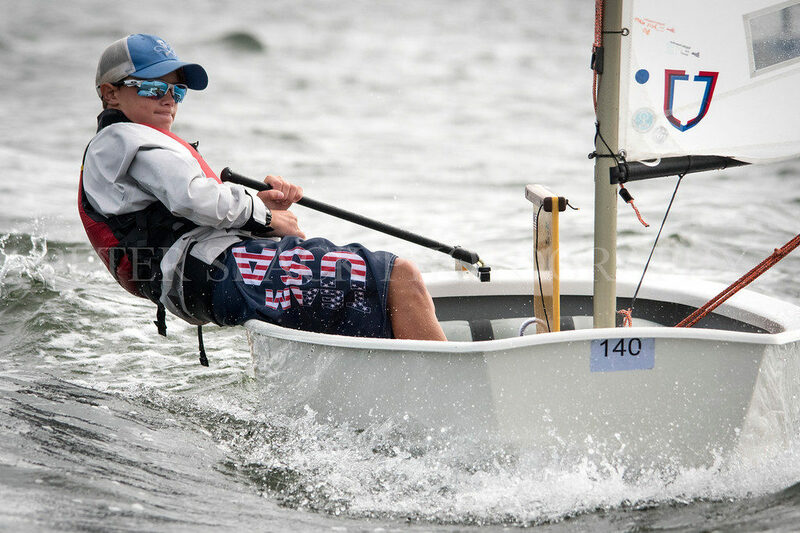 At the USODA Team Trials Tommy placed 5th in the 74 boat gold fleet, thus placing him on the USODA World Team. And then, off to USVI to place 3rd of 80 boats at the St. Thomas International Optimist Regatta in June. In July, Tommy placed 7th of 240 boats at the US National Fleet Racing Championship in Pensacola, FL. 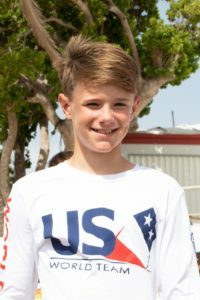 He followed that with a 3rd in the Mediterranean Championship of 124 boats and a 5th of 258 at International Optimist Dingy Association Worlds in Cyprus during August/September. At the Atlantic Coast Championship in New Jersey, Tommy was 1st of 149 boats. In October, he was 6th of 208 Optis at the New England Championship. In New Orleans, Tommy placed 1st of 234 at the Midwinter Championship. This gives him the privilege of representing USA at the IODA South American Championship in Chili next spring. Tommy also traveled to Palma, Spain in December placing 2nd of 276 optimists. This regatta provided a range of conditions from flat calm to 18-22 knot winds. Tommy still enjoys sailing in the Chesapeake Bay regattas where he is growing up. On the Bay, Tommy placed 1st of 40 at the Fishing Bay Junior Regatta, 1st of 35 at Tred Avon Junior Regatta, 1st of 39 at the West River Junior Regatta, and 1st of 62 in the Oxford Regatta. Tommy is dedicated to the sport of sailing, seamanship, learning the racing rules and abiding by them, and becoming a team leader while listening to his coach.